Whether you are hosting a Thanksgiving party or going as a guest this year, it might be useful to learn what are the steps to a perfect Thanksgiving dinner. 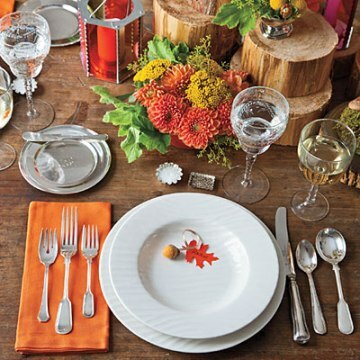 According to Emily Post, as a guest you must let your host know if you are able to attend or not as soon as possible. When you get “family” invitation, tell the host how many of you are coming. Avoid showing up with uninvited guests. Although there probably is room for more people at Thanksgiving, it is something you have to discuss with your host in advance. As a true sign of consideration, dress one notch up. The host is going all out; choose your outfit the way so your elegant attire would say “I appreciate the effort you are making for us”. Bring some gift with you. In case you don’t contribute any meal, a bottle of nice wine is a good idea. Be on time. 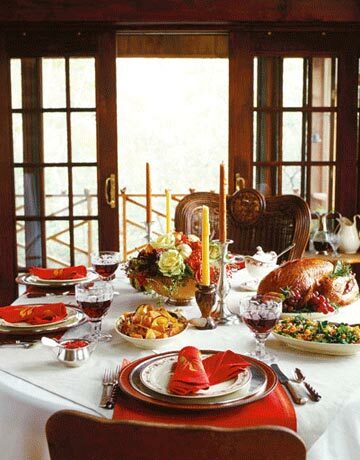 Although it is a day of feasting, that turkey will be done at some point and your hosts are planning around this moment. You shouldn’t expect anyone to wait for you in case you are running late. You should offer to help with the clean-up. Thanksgiving Day is a perfect day to pitch in. Avoid controversial or painful family subjects. Talk about the things you like instead of the things you are unhappy about. Try to focus on many happenings you are thankful for. Don’t stay too long and leave on time. If you are a houseguest, stick to the agreed schedule of your visit. When you say you must leave, expect protesting, but leave anyway. When your host is asking if you would like to stay some more, it is usually a ‘formality’. Thank the host. You can make a phone call, or better yet, send a hand-written thank you note. The card shows your appreciation for all the hard work. Invite the guests at least a month in advance. Notify those who might be travelling even earlier. If some guests are staying at your house, set a beginning and an end for their visit. 3 days is usually the optimum. Get ready to accommodate “extras”. “Jack and I would be happy to come, but our friend Diana is planning to spend Thanksgiving alone. Is there any way we could include her?”If you have the room, encourage them to bring the friend. 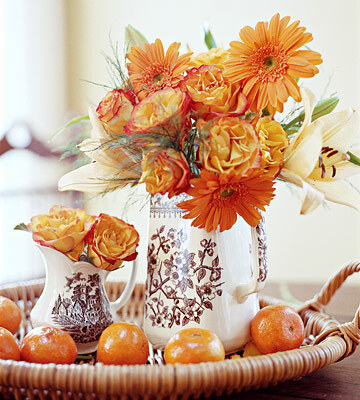 Thanksgiving is the celebration that exemplifies the generous spirit. Your menu should be flexible. Get ready to be “coordination central”. Accept all offers for special diet accommodations – see ‘the vegetarian’ situation above. Discuss the guest list with everyone in your household. Your immediate family can help you to set the tone for the day. If little Joey greets Great-aunt Miriam with a big smile and a “Hi, Aunt Miriam,” just imagine how welcome she will feel. Assign tasks. Plan who will be the greeter, “bar tender” and “introducer”. Even if most of your guests are family members, give them the red carpet treatment. Serve and seat young children and the elderly first. Sometimes you will need to use FHB acronym. FHB means “Family Hold Back”. Whisper FHB to your immediate family only and only in case there is a critical shortage of a critical food item. Turn off the TV during the dinner. Focus your attention on the great homemade food, your family and your friends. When the dishes are done, everyone can enjoy the game or the chat in the other room. Remember to thank everyone who participated in the planning, cooking and cleaning up. 1. All cell phones should be on silent or vibrate mode on Thanksgiving day. 2. Family can text, talk, surf online and check Facebook as much as they want during the football game and kitchen prep, but not at the Thanksgiving table. 3. Take photos of family before or after the meal, but don’t whip out your camera phone during dinner (well, unless the baby’s first Thanksgiving turns out to be really cute). 4. If you must take or make a call on Thanksgiving day, step outside or into another room, so that others aren’t forced to overhear your call. 5. If people need to check their phones, build in breaks between the meal and dessert when everyone is stretching their legs anyway. Do you have questions about Thanksgiving Dinner or you think we forgot to mention something important? Come talk to us! Leave your comment below!